Our customers won't wait, and now they don't have to. V-LOGIC was founded in the year 2000. 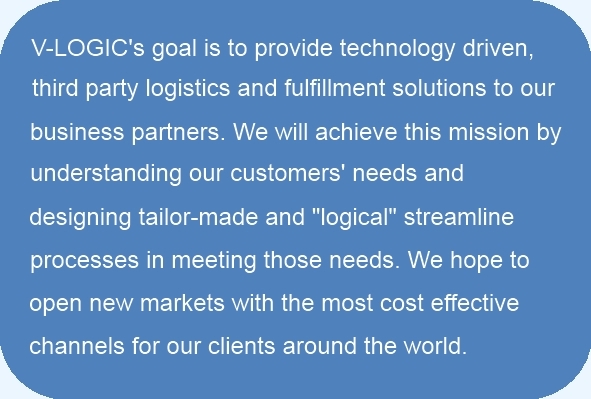 With the help of our key and strategic shareholders, V-LOGIC has become a leader in the field of logistics and freight forwarding providing the highest quality, lowest cost solutions to challenges in the Supply Chain. Our team of professional managers is comprised of experts in the fields of airfreight, ocean shipping, transportation, distribution, warehouse and inventory management, information technology and finance. Our processes are proven and optimal in meeting our high level of service standards. 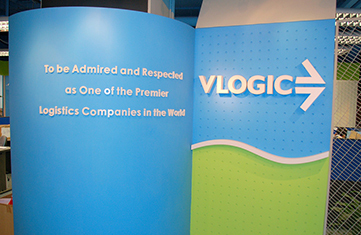 With our in-house built warehouse and freight management systems and world class facilities, V-LOGIC is able to offer our clients a suite of services including warehousing, e-fulfillment, pick and pack, repacking, value added services, delivery, air and ocean freight, sourcing and other logistics needs. Many companies around the world have strong name and brand recognition in the fast growing Asia Pacific (APAC) region, but lack the logistics expertise needed to access these markets. International trades today require more sophisticated logistics IT solutions to effectively operate cross-borders. The sophistication is still lacking in the Asia Pacific region today. 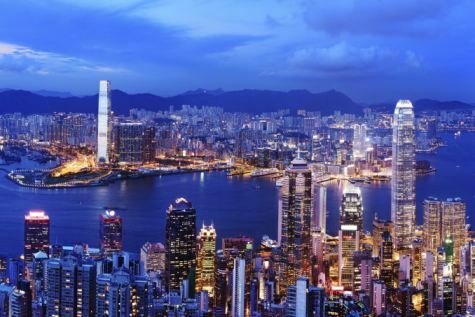 Increasing demand from multi-national companies for consolidation services from Hong Kong and China. Many of the products being sold by the U.S. and European companies to consumers in Asia today are in fact manufactured in Asia to begin with. Products are being shipped unnecessarily around the world in order to meet local Asia demand. With V-LOGIC’s fulfillment / distribution centers, these companies can store their goods with us and fulfill to their client by placing orders to us remotely without physically being where we are. The vibrant retail market in Asia requires high quality domestic distribution capabilities and efficient fulfillment lead time. The fast growing of Asia and global e-commerce requires high quality e-fulfillment service provider to meet the rapid order fulfillment. 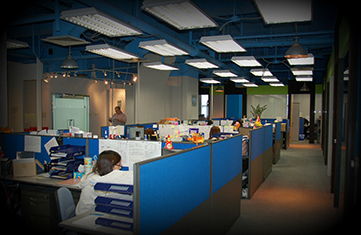 As a free port, centrally located in North Asia, our Hong Kong headquarter is the logical hub from which to serve the distribution requirements of the Asia Pacific region.